City University London has been named one of the top young universities in the world in a league table published this week by Times Higher Education(THE). 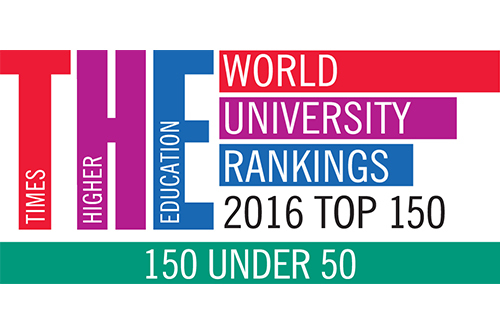 The THE 150 Under 50 list is an annual ranking of the world’s universities under 50 years of age and City was ranked in joint 88th place. To be included in the THE 150 Under 50 is a significant achievement. Phil Baty, Times Higher Education rankings editor says the list is led by “exciting and dynamic institutions” that have made a “big impact on the world stage in years rather than centuries”. The table applies the same performance indicators as the overall THE World University Rankings. Young universities in the list are measured on their teaching, research, citations, international outlook and industry income. It will be the last year that City will be considered a ‘young university’ and eligible for a place in the table. This week, City celebrated the 50th anniversary of receiving the Royal Charter and becoming a University, making it one of the oldest institutions in the list. The UK is the best-represented country in the list, with 24 institutions featuring alongside City. They include the University of Dundee, Loughborough University and Aston University.